First there was an Industrial Revolution, then a Cultural Revolution, and now an Agricultural Revolution. The Royse AgTech Innovation Network brought Silicon Valley to China this past December, hosting pitches, panels and presentation events in Shanghai, Beijing, ShenZhen and Hangzhou (and additional events in Taipei, Hong Kong and Seoul). Panels consisting of cross border VCs, tech companies and members of Royse AgTech exchanged views on the state of agtech in Asia, including the investment climate and new innovation. It is clear from the exchange that China is poised to be an agtech powerhouse, both as a market for new technology as well as a source of innovation. Many countries and cities claim to be the next Silicon Valley, but China already has a Silicon Valley; in fact it has several Silicon Valleys in tech hubs throughout the country. Agtech plays a prominent role in those national innovation initiatives. For starters, China is huge – 5 times the population but only a little more land than the United States. Of that population, roughly 800 million people are engaged in agriculture, according to Cynthia Xing of Yuan Associates, a food and agricultural consultancing based in China. That is not a typo – the number is 800 million, with two 0’s. As you might expect, farms are very small compared to US farms, but that is changing as the country becomes more urbanized. As farms consolidate, and the number of farmers decrease, the need for technology solutions will increase. The Chinese government knows this well, and both local and national governments are actively encouraging the development of solutions. Secondly, China is growing. The International Monetary Fund (IMF) calculates that China’s GDP exceeds America’s, if Chinese GDP is converted into dollars at purchasing power parity (the exchange rate that would equalize the dollar price of similar goods in each country). While GDP growth has slowed, it is still high enough to require technology solutions to solve existing problems and alleviate stress on the system. Other factors are driving the need to innovate in food and agriculture. Like many other countries, China has a farm labor shortage. Because of urbanization, i.e. the movement of people from the rural areas to the inner cities for economic opportunities, the farming areas are left with girls under age 16 and men over 50, who are not the most productive farm workers. Like the experience in other industries, technology must step up to fill that gap. The government supports innovation in China, and agriculture has attracted the attention of the highest levels. Recently, an Iowa demonstration farm was “transplanted” to Hebei province, with the approval of Chinese President Xi Jinping. One of our panelists reported that China has perhaps hundreds of agricultural and science parks, sometimes working with foreign investors. A final driver in the upcoming agricultural revolution is China’s estimated 900 infrastucture projects affecting 80 different countries as China seeks to expand it opportunities for international trade. The Belt and Road Initiative is creating business opportunities throughout Asia, Africa and Europe and estimates indicate that infrastructure projects will require investments of US1.7 trillion a year. In addition to these economic factors, the Chinese government itself is a factor in the Agricultural Revolution. The Chinese government has identified three main areas of focus in food and agricultural production. First, China is committed to protecting its environment. China currently emits more than twice the CO2 as America and produces 50% more electricity. China has committed to cut carbon emissions and has become more stringent in enforcing those goals. Similarly, there is a commitment to cleaning up dirty industries. Agtech solutions that replace chemicals with machine learning and AI, data, and robots will find a market in China and an ally in the Chinese government in promoting their tech. Secondly, economic development is a priority. While we talk a lot about food security in the US tech community as a theoretical future problem, food supply is a real and current problem in China. Many agricultural areas cannot even produce enough food to feed their local residents. The Chinese government has made bringing these people out of poverty a priority. Clearly, precision farming techniques that reduce the cost of inputs and increase the outputs will have a role in the development of farming areas. Thirdly, and maybe surprisingly, the Chinese government is encouraging innovation in biotech and molecular biology, especially technologies that can increase production and reverse recent trends in China’s grain production lagging behind population growth. Several cross border companies presented their China solutions at the Royse Agtech Asia events. AEssence, based in Sunnyvale with a China office, demonstrated its complete hydroponic systems. Their AEtrium System enables commercial cultivators for indoor clean rooms or large greenhouses to manage advanced hydroponic systems with precision sensor automation and accurate mechanical control timing. Anitoa, headquartered at the Royse Agtech office in Silicon Valley and having an office in HangZhou, develops a CMOS bio-optical sensor, which was originally meant for medical applications but has agricultural uses as well. In addition to Silicon Valley companies, several local companies also presented. 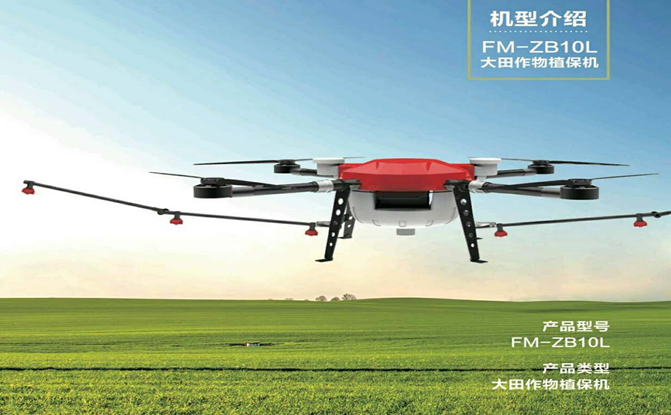 Hangzhou in particular has a surprising number of startups developing technologies in molecular biology, data, sensors and drone tech. DongChuang Technology, is a bigdata company that focused on introducing new technology into Farmland and building smart & hi-tech farm in China. They also introduced their E-commerce solution and O2O retail store to connect the Farm with end-customers. DIFULAI, a Biotech company based in Beijing is focused on research and development of biological fertilizer as well as soil improvement. Their algae active fertilizer contains no chemical components but consists of two types of algae cells. It provides a variety of nutrients to plants through the fission and propagation of living cells and its internal activities, promotes root growth and improves the ability of plants to resist extreme weather. Other companies participated in the Royse Agtech events including Pegasus Aviation, which introduced their Agriculture Drones FM-ZB10 for Crop spraying both in the field and on the water, and Leo Band & Co. which presented their Agtech platform where they connecting technology companies with local government to promoting R&D and facilitate implement of technology in agriculture. They recently introduced safe and environmentally biological pesticide for controlling and preventing apple snail from invasion. Given China’s shortage of ag land and dense population, many companies are developing urban solutions. Mirakhl, a Korean company with R&D in Silicon Valley, is focused on urban farming with a smart home growing system. Similarly, Rooftop Republic showed its urban farms, where they build rooftop farm on the skyscrapers at central Hong Kong and educate Hong Kong’s city-dwellers and families about farming by running regular workshops. Also surprising is the number of private investors that are investing in agtech, both in Asia and the US. Many investors seek technologies that can be easily translated to China agriculture. China as a country is a quick adapter of new tech, so companies that might struggle to create a market in the US have an opportunity to get quick market acceptance in China, Savvy Chinese investors add value buy assisting in market entry. Our panels for example, were joined by AngelHere, a US-China angel network, CDB Capital, Sunshino Venture Capital and Mesh Ventures, to name just a few. In sum, there is a thriving silicon valley in agtech in China, several of them in fact, and the country offers both a huge market as well as large opportunity for development. The Royse AgTech Innovation Network will be back in China again soon. More information about our Asia tour can be found on our website at the Royse AgTech Innovation Network.